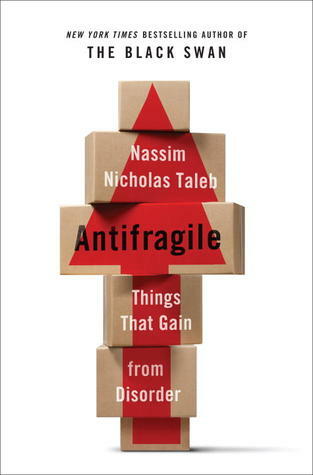 For those of you (most of you) who have not yet encountered the book by Nassim Nicholas Taleb entitled “Antifragile: Things That Gain From Disorder” you may wonder if I am making up a term due to a salsa induced dissociative fugue. I can assure it is not the case, but the knowledge Taleb has imparted has made me aware of an undercurrent to salsa for which I have heretofore only been dimly aware. So what is “antifragility”? Well, if you were asked what is the opposite of fragile, most would probably say “robust”, but it is not so. Rather than being harmed by random shocks, such as a packaged champagne glasses handled roughly by postal workers, imagine a product that not only would remain undamaged, but actually strengthened by random shocks. So instead of your cousin in the antipodes receiving the broken shards of fragile champagne glasses, imagine instead that on arrival they were somehow stronger or more plentiful or in some way improved by the knocks and blows they received enroute. “Some things benefit from shocks; they thrive and grow when exposed to volatility, randomness, disorder, and stressors and love adventure, risk, and uncertainty. Yet, in spite of the ubiquity of the phenomenon, there is no word for the exact opposite of fragile. Let us call it Antifragile. Antifragility is beyond resilience or robustness. The resilient resists shocks and stays the same; the Antifragile gets better”. A classic example of antifragilty given by Taleb, is the human muscle system. Through the stress and difficulty of weight training, causing the muscle to undergo micro tears and rupture, it quickly becomes stronger as it recovers. 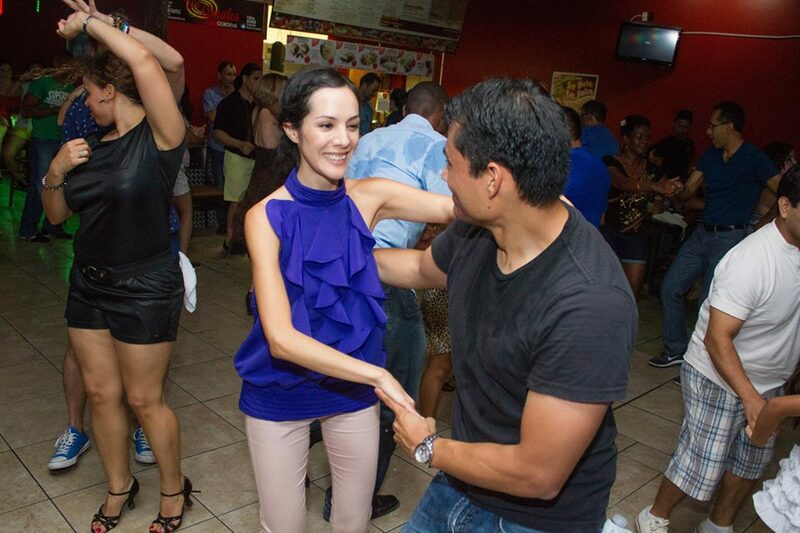 Salsa is similar – it can take a lot of effort to be a good dancer, and making errors on the dance floor can range from mild embarrassment to physically dangerous. However, with the right mindset you can begin to see errors as information rich experiences – how “not” to dance. More than that though, you should cultivate a way of dancing that has little to lose from errors, but more to gain. What do I mean? There are far too many changing variables (or stressors, to use Taleb’s terminology), such as tempo, musicality, your partner’s ability, the space situation on the dance floor, even the way the sound is broadcast from the speakers. 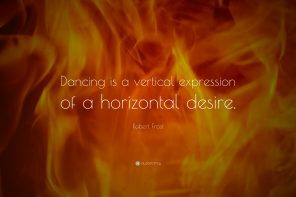 These aspects make every dance unique in the demands it places on you. There can be no one size fits all routine, pattern, or series of steps you can learn that will serve you in this complicated skill you indulge in. Consider the fragile dancer; one with a limited understanding of timing, of constrained musicality, and a conventional repertoire of patterns. This dancer is easily “fragilised” on the dance floor once presented with an unfamiliar follower, a new song, or unrecognized music type. Dancers with a technical mindset or perhaps see salsa as merely as a means to establish a social circle are easily “fragilised” as well. The inherent randomness of dancing causes them to fail in a big way on the dance floor when challenged. We all know dancers, both as leaders and followers, whose dancing rapidly becomes unpleasant to watch when things get interesting and, of course, “sabor” is absent. There is no escaping the random, unpredictable nature of dance. You cannot make yourself immune to the natural, volatile, and unpredictable once you take a partner and step onto the floor – literally anything can happen in the next 4 minutes. Taleb describes an antifragile strategy as one that maximizes optionality and accepts a low-level of maximal risk for a high level of potential upside. This is how you must invest in your salsa journey if you want to be antifragile. ‘Optionality’ is the value of additional optional investment opportunities available only after having made an initial investment. This is in financial terms but it applies to any skill you “invest ” in yourself. Take your initial lessons, and invest in the fundamentals, but from there bifurcate, diversify, disaggregate and dis-intermediate your dancing options. Dance with all partners, of all ages, of all abilities, styles and quirks. Learn what you can when you can. Some of these experiences will take you in new directions and give you fresh ideas and concepts. But you will also have bad dances, encounter dancers who are off-time, and dances with no chemistry. These bad dances can be filled with information. To again quote Taleb, “Optionality works by negative information, reducing the space of what we do by knowledge of what does not work. For that we need to pay for negative results.” Even from these you can learn how not lead, how not to turn, and how timing doesn’t work. So in dances good or bad, it’s all upside. The downside is minimal, – you may learn nothing and so progress no further than your last salsa lesson. So when you view it through this lens you see there is never a bad dance. There is always information gained from even poor dances, bad leads, bad timing etc – up to a point! Smashing your partner in the face causing a broken nose may be past the point of antifragility repairing itself. As will excessive social faux pas, such as BO, erections, or crotch rot. It can be inferred, then, that the ideal is not to be a fragile dancer (unable to weather stressors), not to be the resilient dancer (indifferent to the stress of the dance -“the same plodding dance” regardless of the music or environment), but to be the ANTIfragile dancer. One who is able to grow and evolve in the dynamic and ever changing environment offered by the dance and is able to create something greater that would otherwise exist. We are told that practice makes perfect. The biting riposte to that piece of pseudo-profundity is “perfect practice makes perfect”. Both of these are wrong as regards dance. In the long run imperfect practice makes for the dancer that people want to dance.. Be that dancer. Don’t be safe. Don’t be reckless. Do chase the stressors and the challenge. Buy Taleb’s book and antifragilise yourself.